I’m always on the lookout for discovery questions that provoke interesting insights. Because a good deal of my discovery work takes place with corporate management and sales, I use a number of questions about business ideals, including perceived and real good-ats. Knowing what a company thinks it’s good at is critical to effective strategy and sell-in of that strategy. 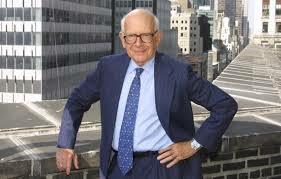 Lester Wunderman’s obit was in the NYT today. Towards the end it spoke of his art collection. African Dogon art was his thing. Though not in the formal arsenal of questions I use for executives, I’ve been known to ask people about their “art.” Though I’ve never asked about an art collection. Hmm. Mr. Wunderman’s art collection has sparked some wunderment (sic). Can’t wait to try this one out. Previous articleBrand Planners and Movie Directors. Next articleBranding and the better deal.